The Driver App was created to support a feature of the 400 Record app. Users can summon a driver to take them around Downtown Dallas in an all-electric GEM car, like a private Lyft exclusively for 400 Record. 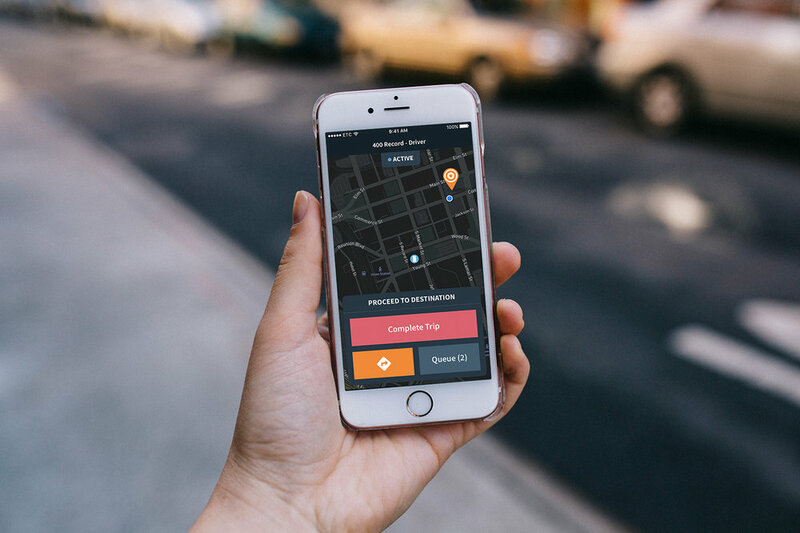 This app syncs with a parse server which shares data with the client-facing app, allowing the driver to manage requests and contact riders if needed. The Driver App for 400 Record included both a daytime and nighttime design.